I'm Middle Aged, Married, and Coming Out! I just watched several episodes of this show, mostly through ON DEMAND, and I have to say "so far so good". I laughed out loud through all of them, and that's not easy to get me to do. I mostly chuckle, smirk and think "yeah that's cute", but not here. 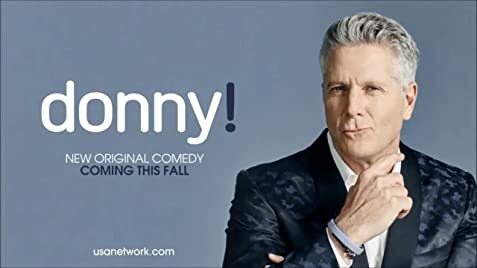 Anyway, I've never heard of Donny Deutsch before, so I have no history or points of reference to go by. However, I love this character, and I especially love his supporting cast, especially his producer who tells him off through his ear prompt. For those who don't know, Donny hosts a daytime talk show which in real life would be just as awful as the ones in real life. This is a great spoof of the genre, and you'd occasionally see cameos of real life talk show hosts playing themselves and being genuinely funny. I've read some really nasty reviews of the series and I couldn't disagree more. This is right up there with LOUIE, JIM GAFFIGAN SHOW and even SEINFELD. Seinfeld didn't have the love-fest it ended up with upon its inception. It needed time to grow and to grow on an audience. So if you hear someone put it down, or read a negative review of it, ignore all that and give it a chance.